Ideal spot for warmth-seeking cats or small dogs. Are you looking for perfect warm and cozy bed/warming pad for your feline to nap the day away? Go no further. 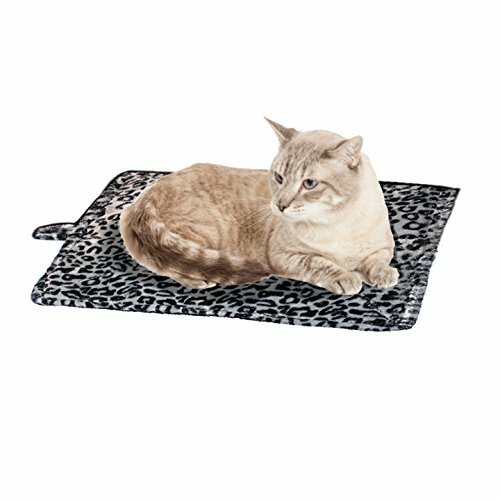 Just try our thermal cat mat/pad to let your kitty have a snuggly nap. It is designed to keep cats warm and comfortable without the use of electricity. Its lightweight core reflects pet’s own body heat back to the animal, providing him a comfy place to rest regardless of how cold it is outside. It is made of a durable material which can withstand clawing and chewing, thus keeping your pet feeling warm and secure all year long while giving the owner piece of mind the kitty is warm! Not only cats, but also you can use it for kittens, aging pets, nursing females, or animals recovering from illness or injury; giving them the absolute decadent comfort they need. So shop us now and let your feline experience the pleasure of our comfortable and cuddly thermal cat mat.